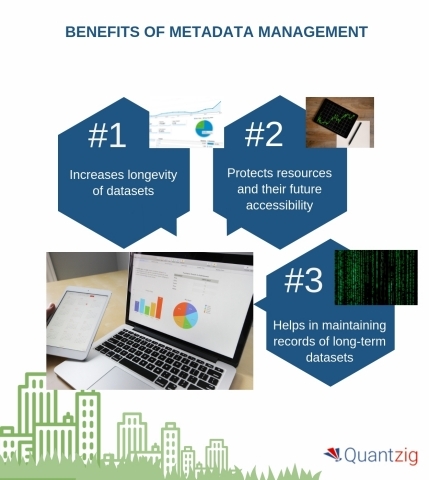 LONDON--(BUSINESS WIRE)--Quantzig, a leading analytics advisory firm that delivers customized analytics solutions, has announced the completion of their new article that acts as a comprehensive guide to metadata management. In today’s competitive world, businesses need to understand and analyze their data to survive, stay ahead of the curve, and grow. This definitive guide gives an overview of how metadata management can provide the required processes to reap this insight and succeed. Also, it highlights the steps that are essential to follow to set up an effective metadata management process that can give a 360-degree view of how different silos in your organization are connected together. Metadata management helps businesses to understand and analyze their data to survive, stay ahead of the curve, and grow.